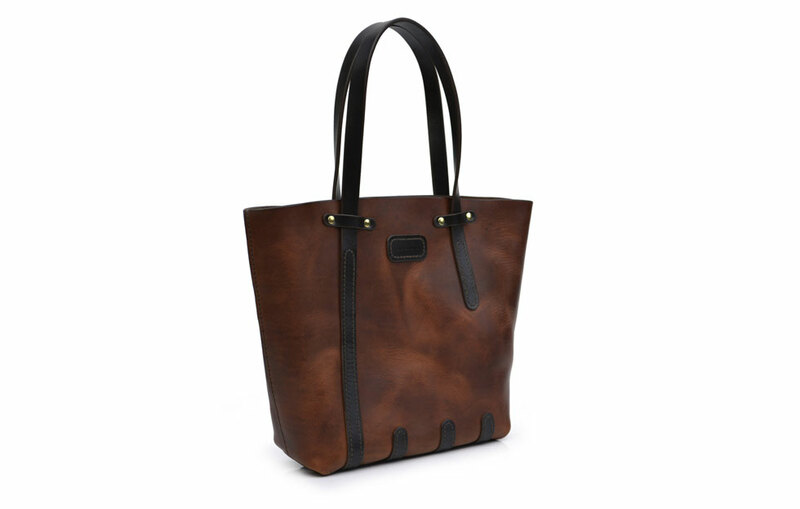 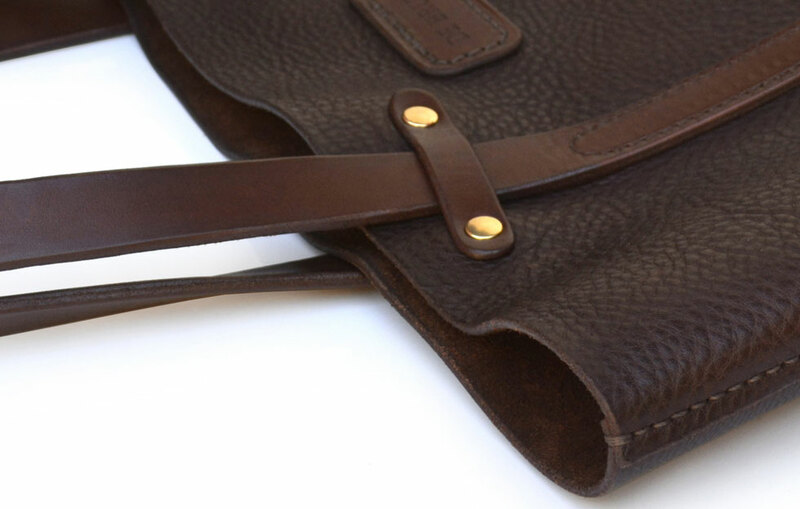 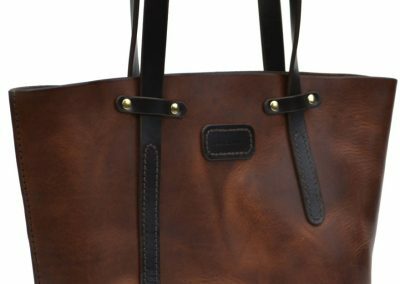 A soft, textured leather is used to make the body of this bag. 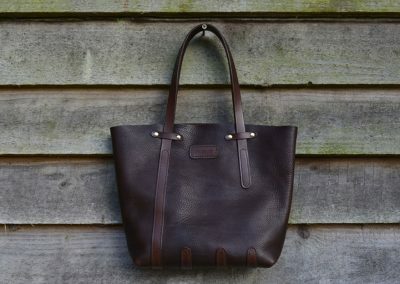 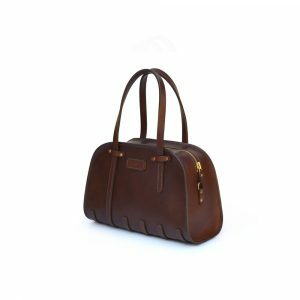 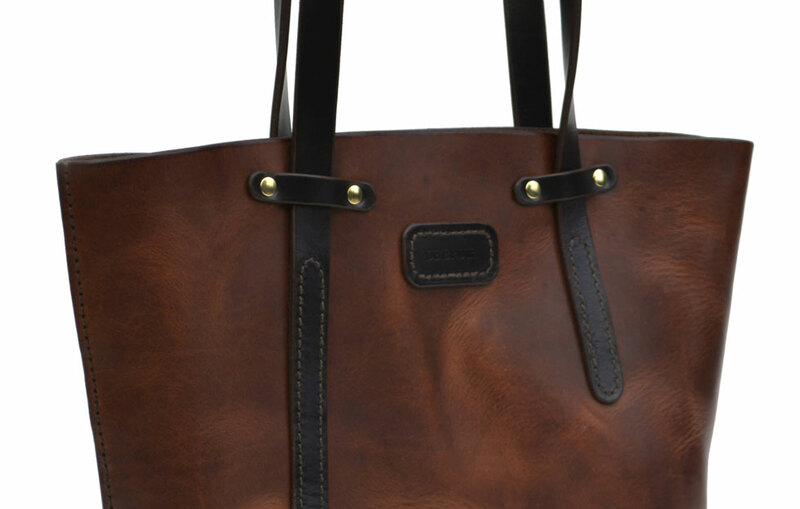 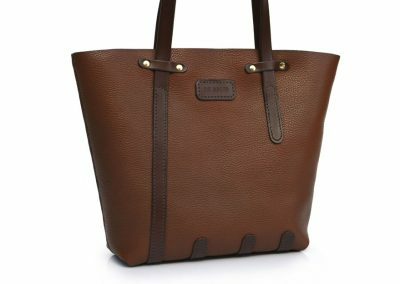 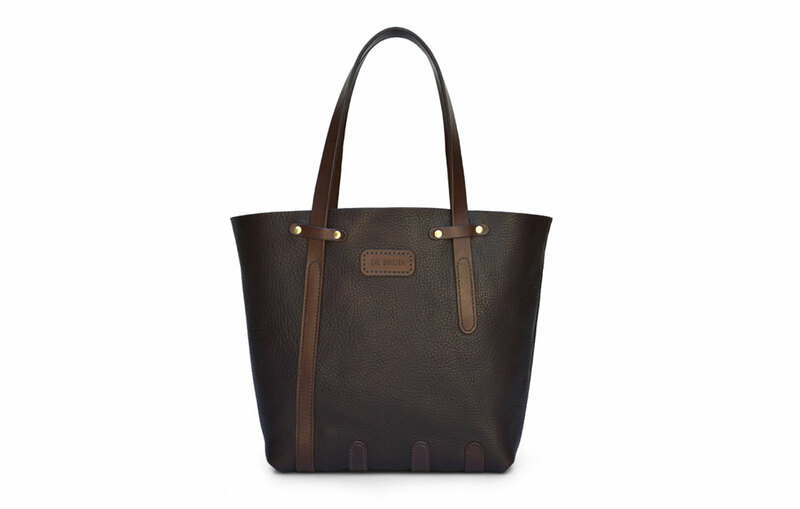 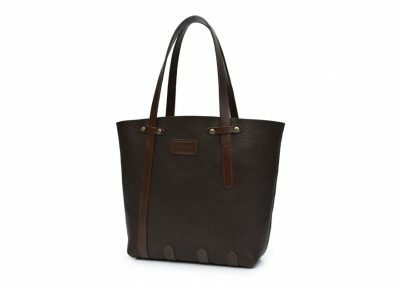 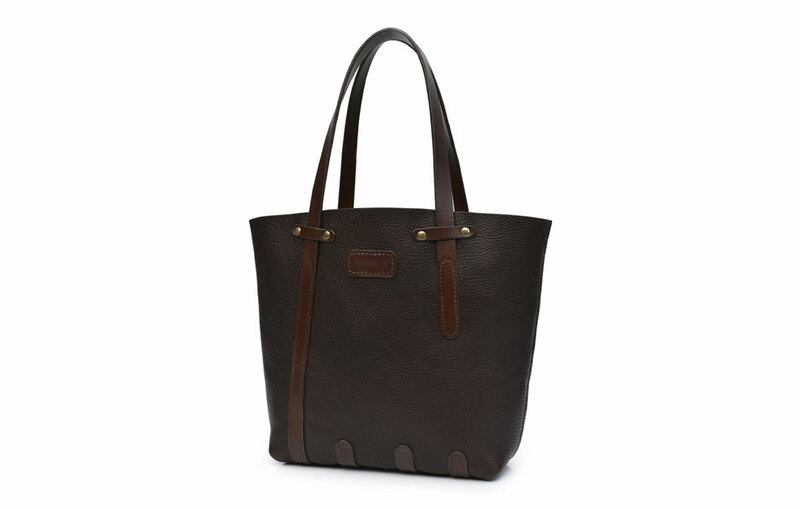 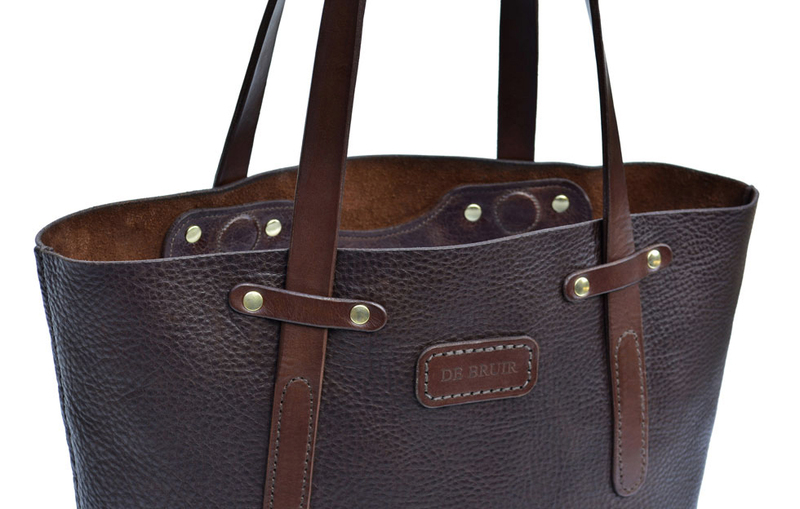 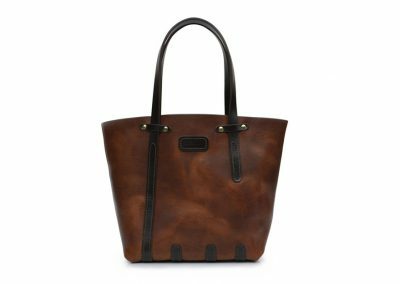 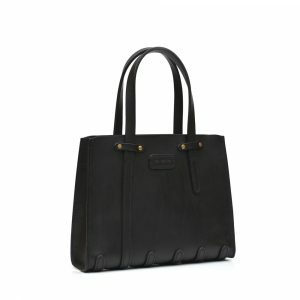 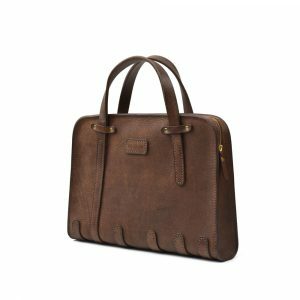 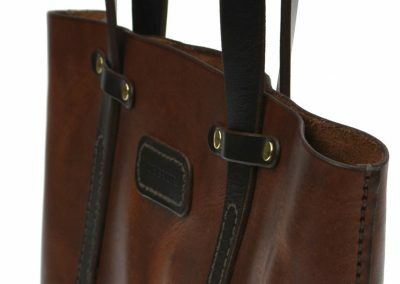 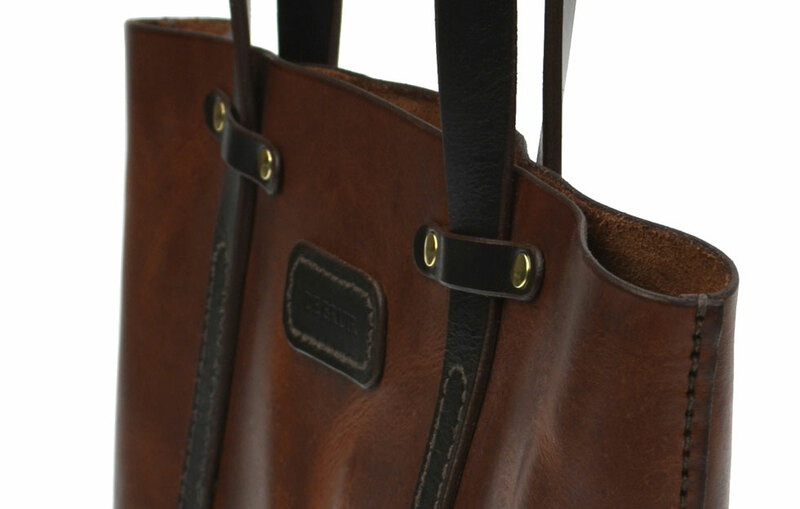 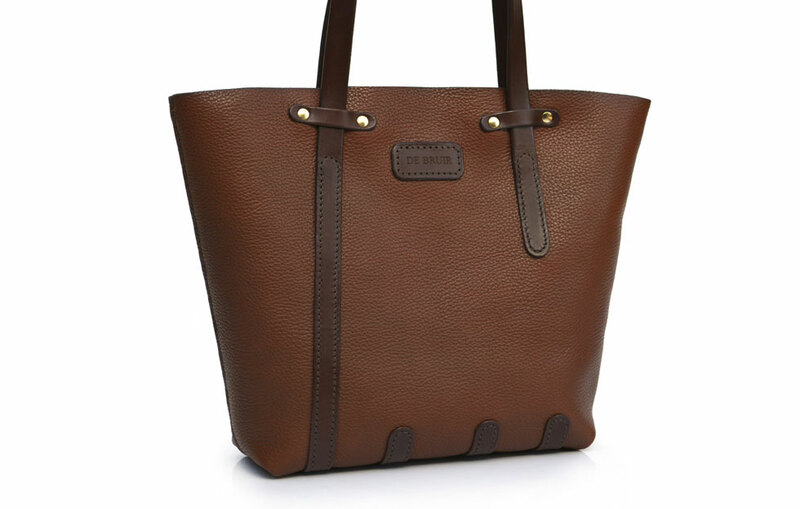 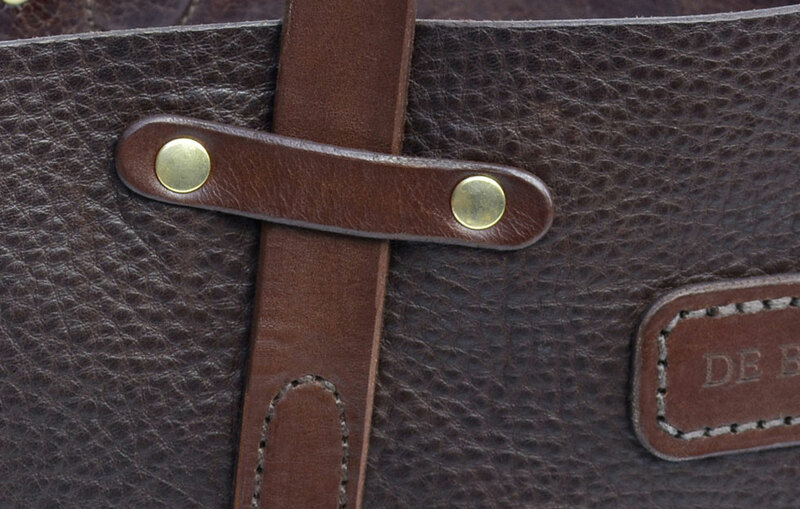 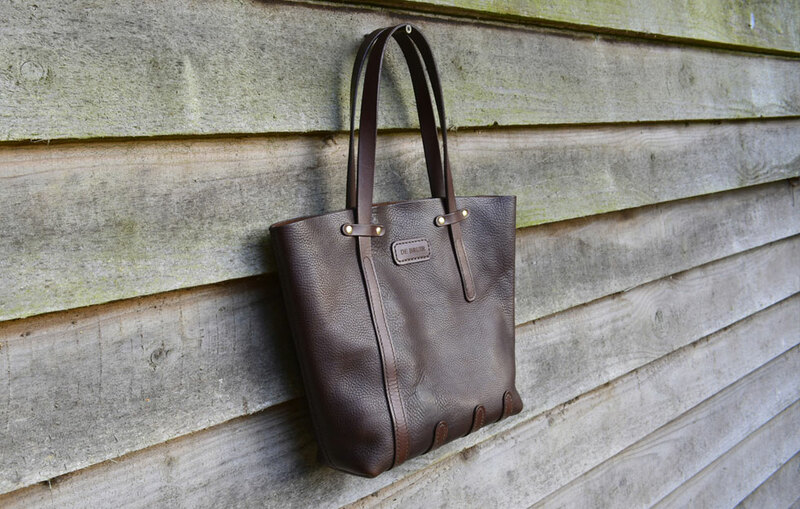 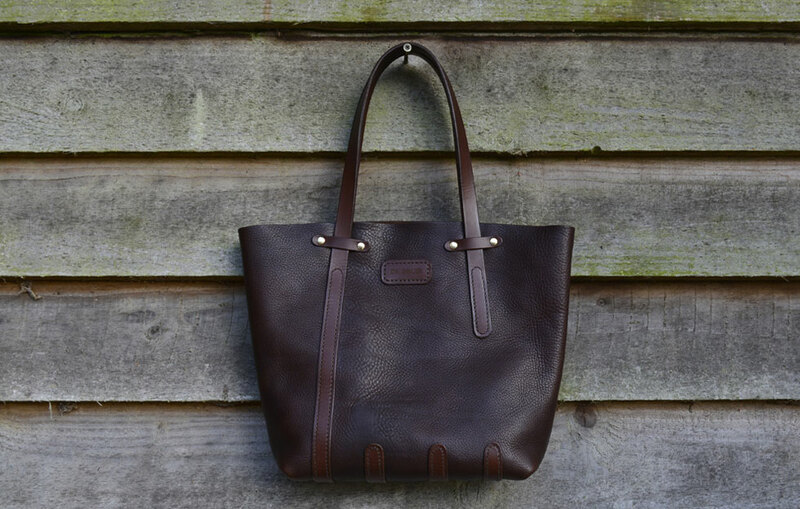 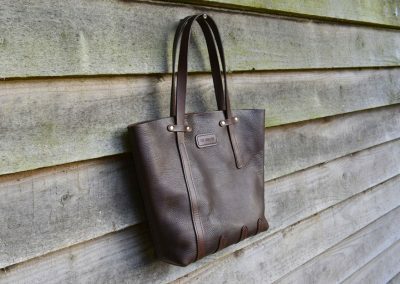 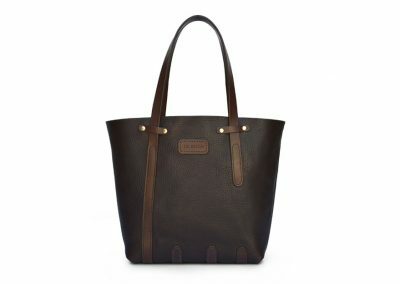 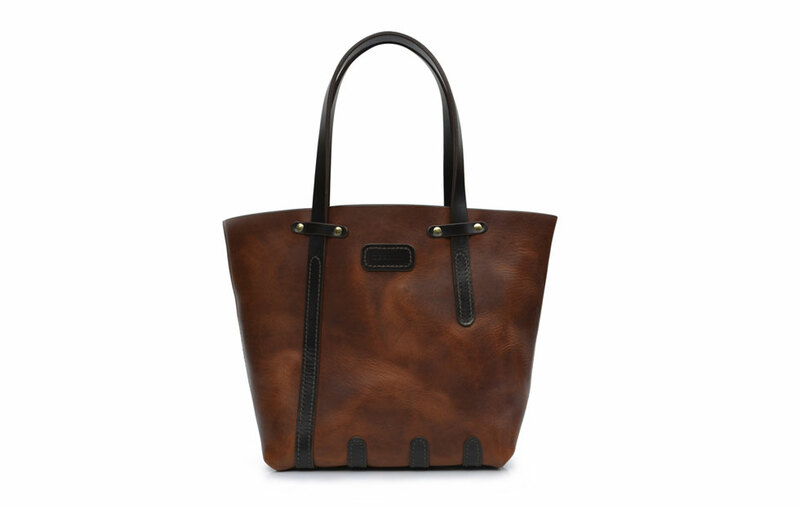 This supple, characterful hide is complimented by the crisper handles in rich bridle leather. 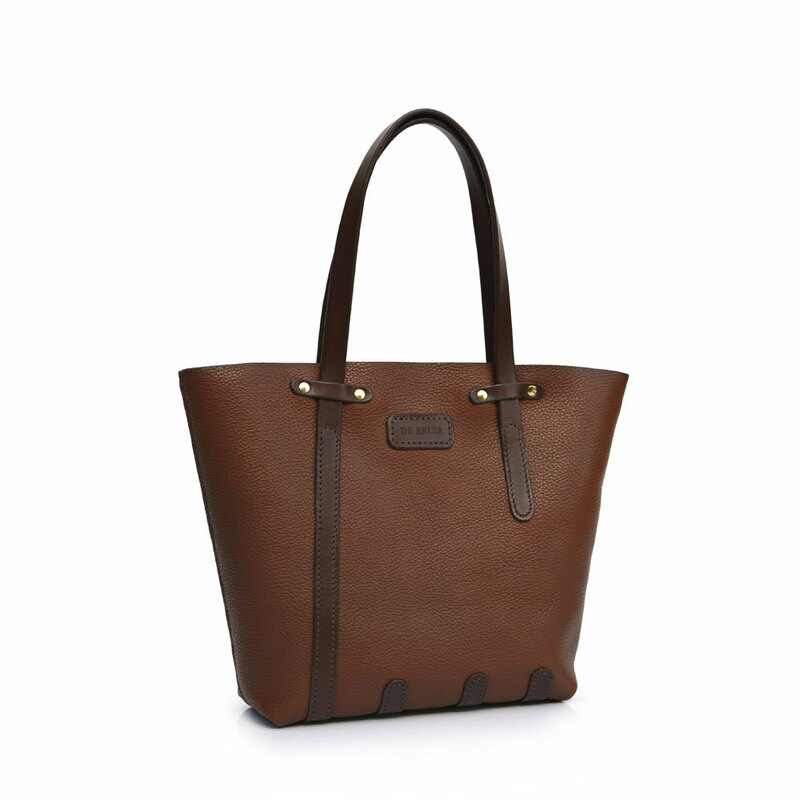 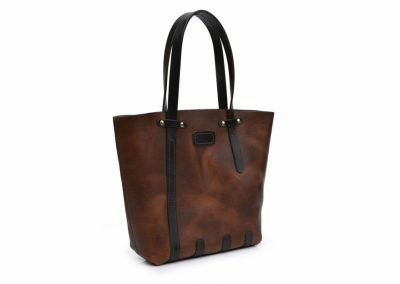 The shape of the bag splays outwards so it creates a very generous size interior. 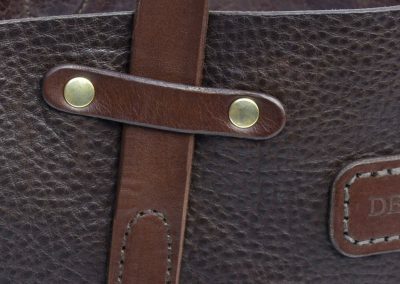 The interior also has a large zipped pocket. 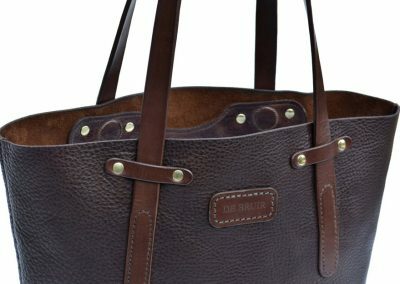 The long handles hook easily over the shoulder.